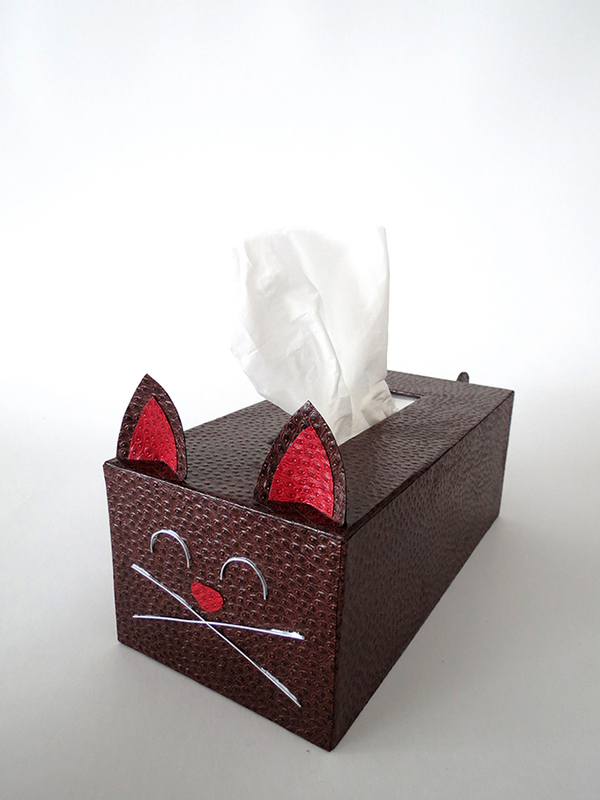 Here is the last craft I made for Dream a Little Bigger, a cute tissue box cover. It has been awhile since my last cardboard project, I really enjoy working with this material…I need to use it more often! 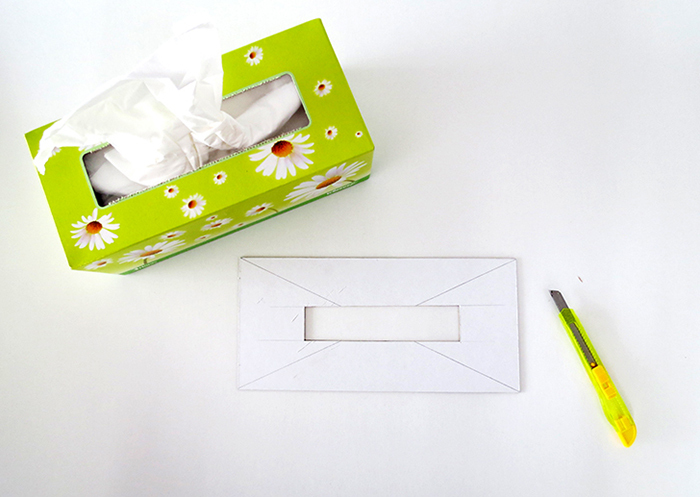 Do you have any suggestion of nice paper and cardboard crafts? 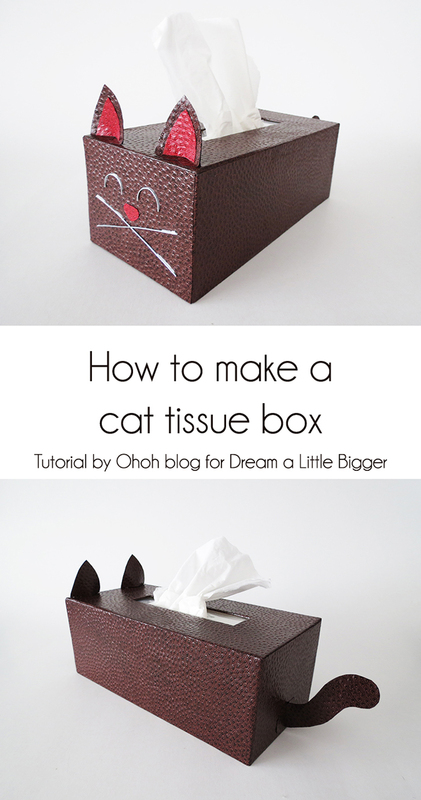 If you want to make a nice kitty tissue box, have a look at the step by step tutorial, on Allison’s Blog. Way cuter than this bright flower pattern!